For every member of the team, getting selected among a pool of other applicants into the cohort seven of She Hacks Africa coding bootcamp was fascinating and overwhelming. Little did we know however that the experiences that await us would be way beyond our preparations and expectations. Right from the very first day, we learnt a lot and were so excited that we kept looking forward to the next day. Even though we all expected to be taught about software development, we were also taken through amazing lessons on leadership and entrepreneurship, so as to learn how to sustain our businesses and make profits as much as we want to provide solution to problems and make a difference in the world. We also learnt to work in teams and brainstorm with other members of the class, with the understanding that each one has something to contribute to the success of the team. Another fascinating thing is that our tutors are women and have shown beyond reasonable doubts that they are capable! 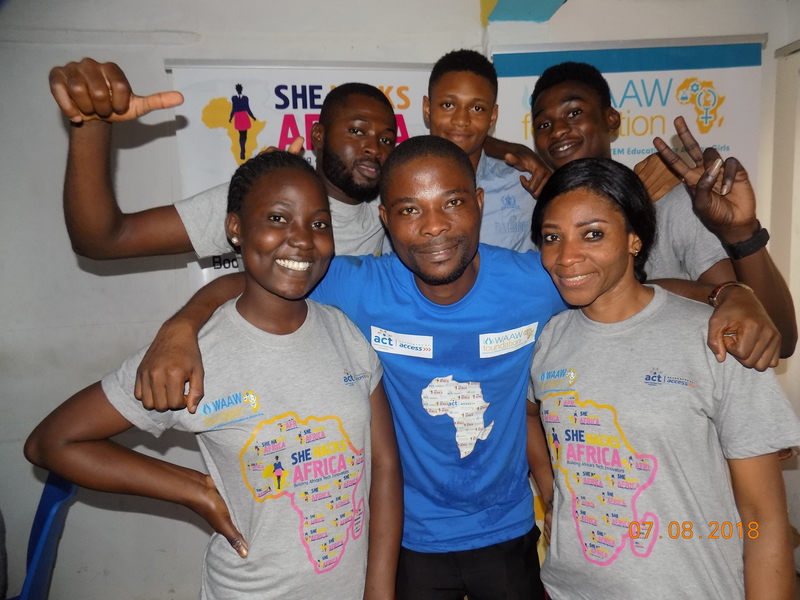 This is encouraging and shows that women and girls can as well get into the tech space and make a difference, which is what the WAAW foundation also promotes. Our instructors; Tolulope, Funke and Sidney made the classes interactive and taught in simple terms we could all relate with. So far, we’ve been introduced to HTML, CSS and BOOTSTRAP and if we can be this impacted and saturated just in the first week of our training, we are more expectant and confident of more and more awesome experiences that await us at SHA!